Winning the World Cup is the one most glorious moment for a soccer playing country. For four years you get to carry the title of World Champion. It is also a big responsibility. You have to prove that you’re the best, and other countries try to get your scalp. Here are the winners that weren’t really up for the task, collecting too few points from their matches in the following four years. Starting with the mediocre and going downhill from there. Rules: Only official international matches, matches against for example Rest of the World XI are not considered. Two point for a win, one point for a draw. Period: straight after the World Cup win, until the day before the start of the next World Cup. Brazil was a very convincing World Champion at the 2002 tournament in Japan and South Korea, winning all seven matches. Before the next World Cup in Germany in 2006, they played 55 international matches. Taking 74 points from these matches isn’t bad at all, although ten other World Champions did perform better. Successes: winning the Copa America 2004 and the Confederations Cup 2005. Disappointments: failing to get to the semi-finals of the Confederations Cup in 2003, losing against Cameroon. Other information: Brazil was inviting to the Gold Cup 2003, but sent an Under-23 team. The matches were valued as full internationals, and Brazil lost twice to Mexico. 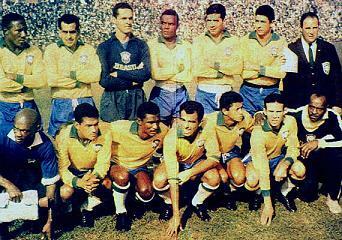 In 1962 Brazil was crowned World Champion for the second time. They indeed were the best team but compared to 1958 it wasn’t that spectacular. The whole tournament in Chile of course was a bit boring (and ugly, for example the Chile – Italy match). Building up to 1966 Brazil got better, but especially 1963 was a nightmare. Successes: Undefeated in 1965 (10 matches). Disappointments: fourth place at the Copa America 1963, losing three matches. Also losing 5-1 to Belgium (1963), 3-0 to Italy (1963) and 1-0 to the Netherlands (1963). At the World Cup in Germany 2006 Italy weren’t one of the favorites. They had some luck against Australia, beat Germany in extra-time and claimed the title after a penalty shoot-out against France. During their four years they ran out of luck, but still managed to win more than half of their games. Successes: Unbeaten during the Qualification Stage for the World Cup 2010. After the World Cup 1974, Argentina under Coach Luis Cesar Menotti built a new team with home-based players (Mario Kempes being the exception to that rule) and did win the World Cup in 1978. Afterwards, most of the players left for Spain (Bertoni) or England (Ardiles, Tarantini) and later Italy, and played just a few matches for the national team. For instance, Kempes only played six games for Argentina between 1978 and 1982. 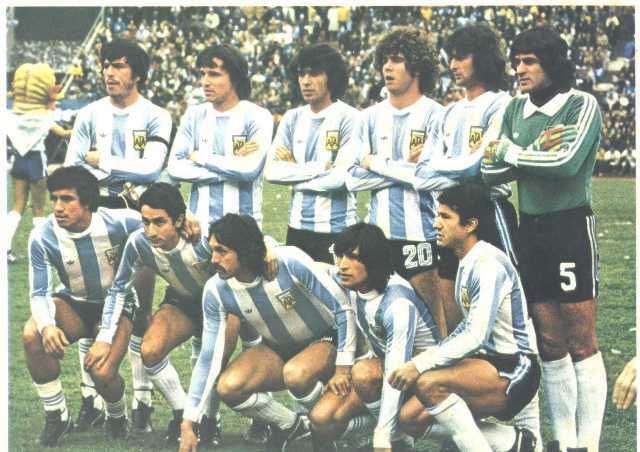 Disappointments: Not getting into the semifinals at the Copa America 1979 and losing matches against West Germany, Yugoslavia, England and Poland. Uruguay brought Brazil to tears at the Maracana Stadium in 1950, claiming their second world title in their second attempt. For nearly two years after that game, Uruguay didn’t play any international matches. Successes: third at the Pan American Championship 1952, behind Brazil and Chile, third at the Copa America 1953. Disappointments: Playing only sixteen matches in four years is hardly doing the FIFA a favor, and losing 1-4 against Paraguay in 1954. Italy shocked the world at the World Cup 1982. First they eliminated Argentina’s Diego Maradona (Claudio Gentile fouled the Argentinian star 23 times), then they played a great game against crowd favorite Brazil. After winning that World Cup, Italy had a poor four year reign. Disappointments: only fourth (4th!) place in the qualifying group for Euro 84, behind Rumania, Sweden and Czechoslovakia. And losing matches against Switzerland (1982) and Norway (1985). PS: All the World Champions so far at least had a positive balance in their four years reign. The worst three couldn’t even accomplish that. 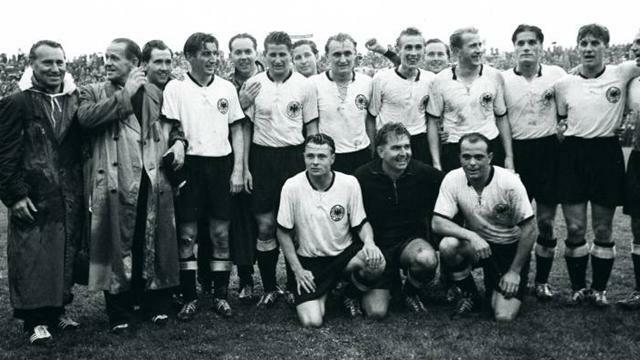 West Germany provided the biggest upset in World Cup history, taking the title in 1954 from the superior Hungarians. They did the right thing at the right time, but after that failed to make any impression in the years leading up to the World Cup 1958. Successes: None. Most of their eleven wins were against second rate opponents. Biggest disappointments: Losing against Belgium (1954), France (1954), the Netherlands (1956), Switzerland (1956) and even the Republic of Ireland (1956). Diego Maradona won the World Cup 1986 singlehandedly. From his team only Jorge Burruchaga and Jorge Valdano were good enough players, the others only worked hard to let Maradona shine. So it came to no one as a surprise that Argentina had a hard time displaying themselves as a true world champion. They failed. With Maradona (17 points from 19 matches), and without him (18 points from 20 matches). Successes: third place at the Copa America 1989. Uruguay’s national team that won the first World Cup in 1930, was basically the same that took the gold medal at the Olympic Games in 1924 and 1928. So after the 1930 victory, part of this successful generation said goodbye to the national team. At the same time, the Uruguay F.A. was very disappointed that only a few (weaker) European countries travelled to Montevideo for the World Cup 1930. The F.A. returned the favor and decided not to defend the title in Italy in 1934. The national team was practically dissolved, as it played only six matches in those four in-between years. Combined with the farewell of their best players, Uruguay only won their friendly match against Argentina on May 18, 1932, losing the other four (two times against Brazil, two times against Argentina). That makes Uruguay 1930 by far the most disappointing world champion of all time.